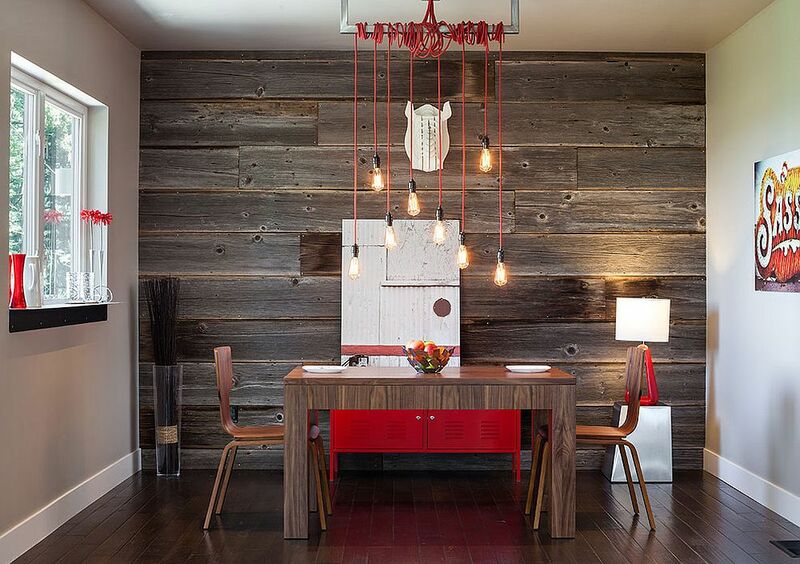 They say that fashion is cyclic and decorating trends are definitely no different. 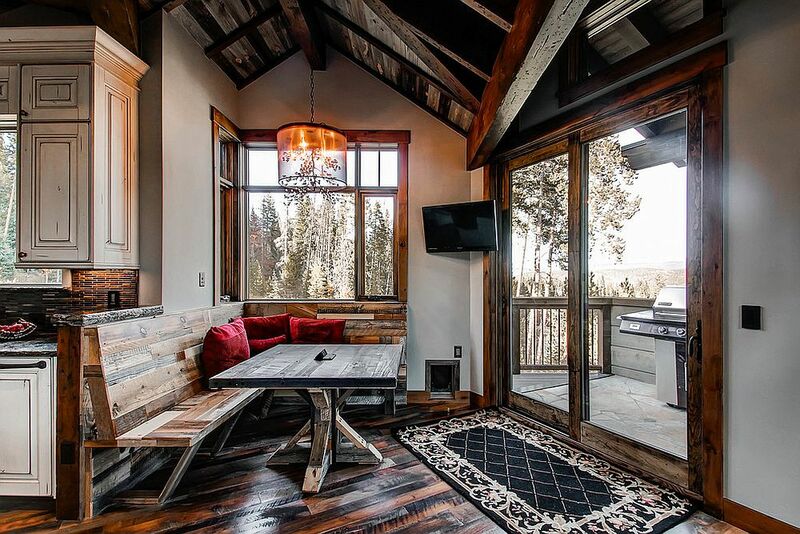 The old often gets recycled and upgraded to create hot new trends. 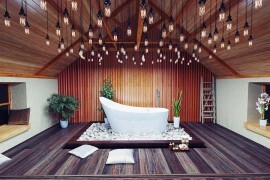 But this takes a whole new meaning with the use of reclaimed wood. 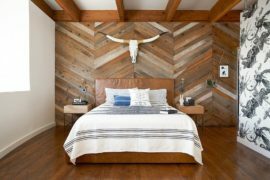 Giving old and discarded wooden planks a new lease on life, reclaimed wood brings along with it textural beauty and plenty of economic value. 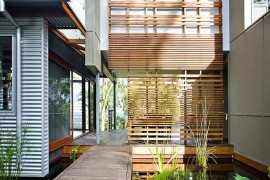 Sometimes the old flooring in your attic or that garage shed wood can be reused as you renovate your home and give a more modern sheen. 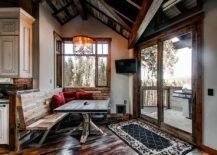 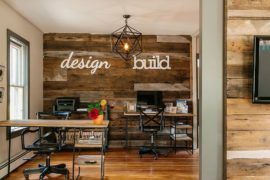 There are other occasions when locally sourced reclaimed wood can keep your home revamp within budget. 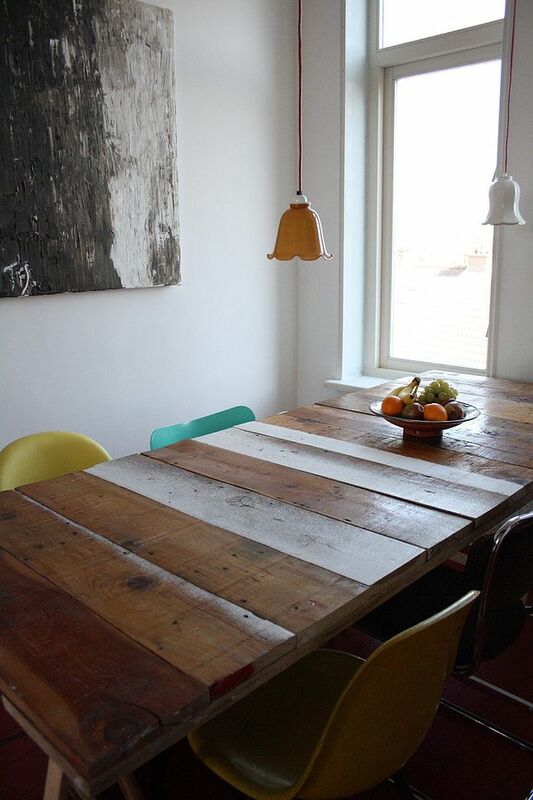 Finding the right stain of reclaimed wood can be a hard task at times, but that extra bit of effort is well worth your time. 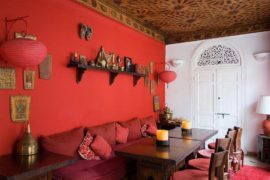 And if you are still not convinced about adding it to your kitchen or living room, the dining room is definitely a good place to try it out before you go bigger! 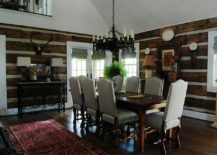 It definitely adds rustic beauty and a sense of raw, natural allure to otherwise mundane, modern dining rooms and creates wonderful focal points that are not too garish. 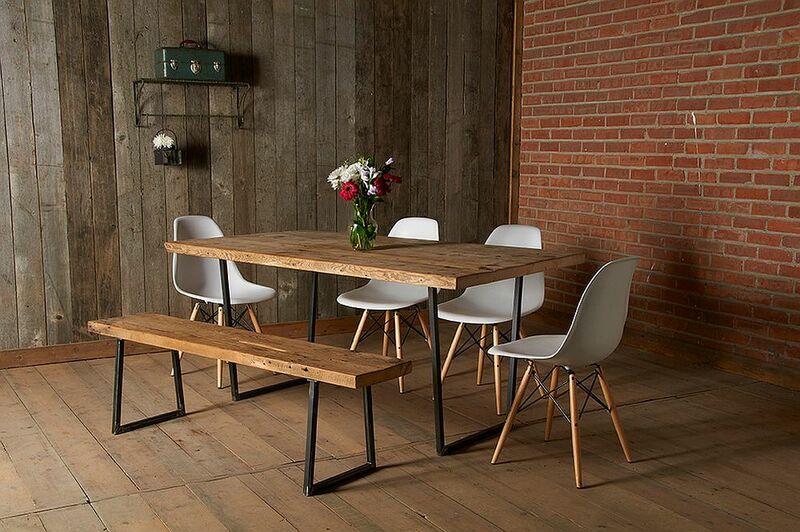 Time to delve into dining rooms that surround you with reclaimed wood! 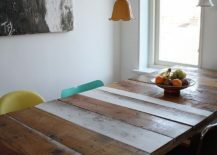 Working with reclaimed wood does require a certain level of expertise, and if you are in love with a really old piece of reclaimed wood, then it is best to treat it properly before reusing it. 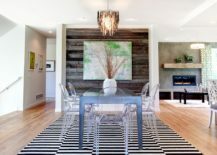 The most preferred option is of course using planks of reclaimed wood to create a beautiful accent wall in the dining room. 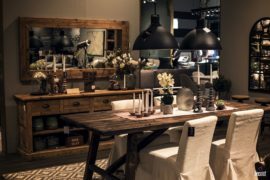 This not only gives your dining space a unique sense of style and sets it apart from the rest of the house, it also lets you add a subtle hint of coastal, industrial, rustic or even farmhouse style, depending on your personal preference. 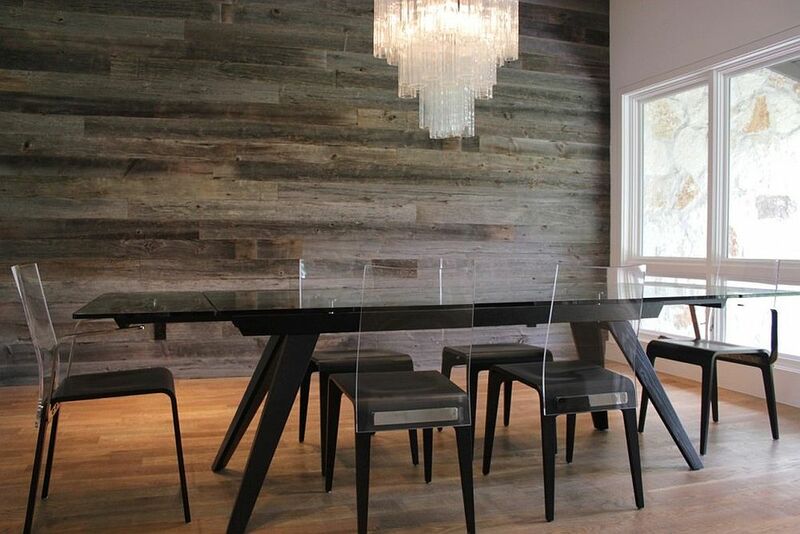 A reclaimed wood accent wall with a distressed finish is a cool way to give the dining space that shabby chic vibe without moving away from the modern color palette. The rest of the room can still remain contemporary with a small accessory or the dining table complementing the wooden accent wall with a similar finish. 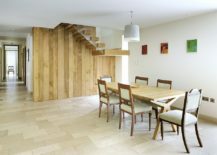 Simple and neutral finishes for the reclaimed wood wall also help in blending it easily with the rest of the open plan living area. Reclaimed barn wood need not always be relegated to the walls alone, and you can give it a more practical and prominent role in the dining room by using it to craft a custom dining table or chairs. 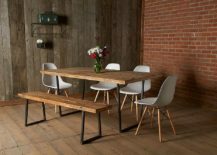 These additions obviously seem more at home in rustic and farmhouse-style dining spaces, but they can also add an interesting twist to your modern dining room. 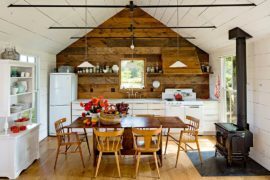 If this little move away from the beaten path does not interest you, then you might want to consider a credenza or buffet covered in reclaimed wood to give the dining space a cozy, inviting aura. 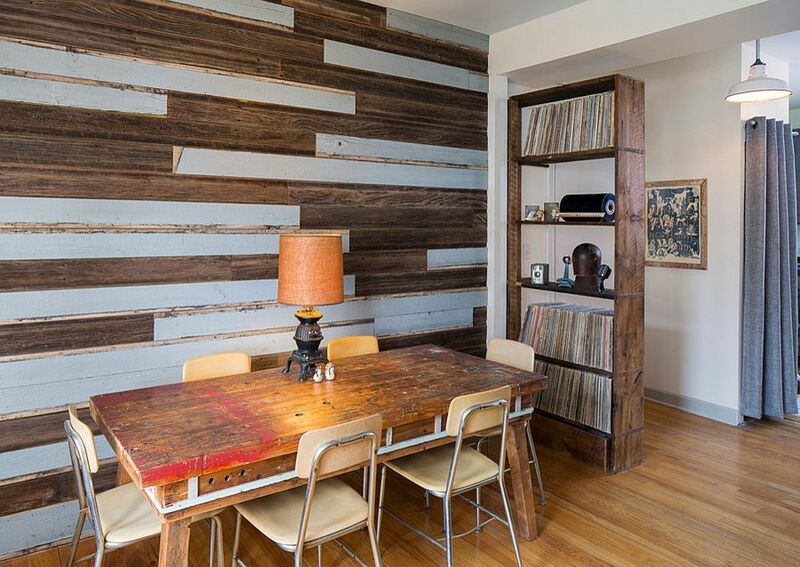 Unable to find the reclaimed wood that you fell in love with? 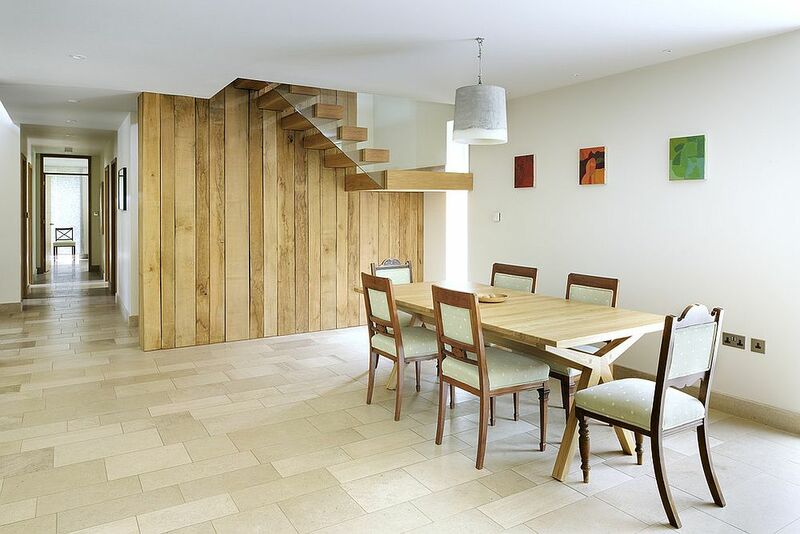 Why not take a more inventive approach by staining brand new planks of wood to give them a worn finish that matches the textural beauty of reclaimed timber? 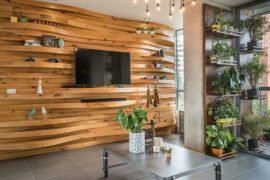 Maybe you could get your hands on the reclaimed wooden planks of your dreams, but you want to explore options beyond the accent wall and bespoke wooden furniture. 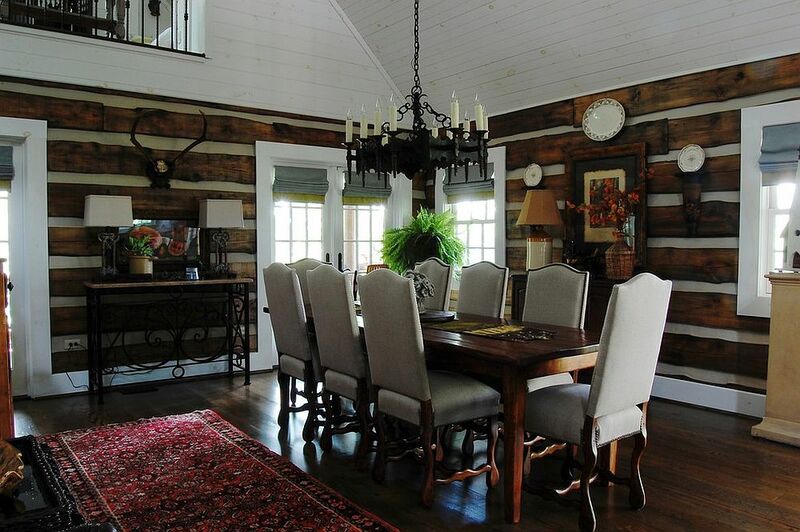 Turn to the ceiling and the floor to give the lovely dining area a woodsy charm that is both timeless and trendy. 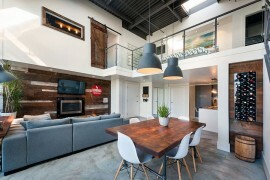 Even sliding barn doors reclaimed from old bars can get the job done by combining two hot decorating trends into one!